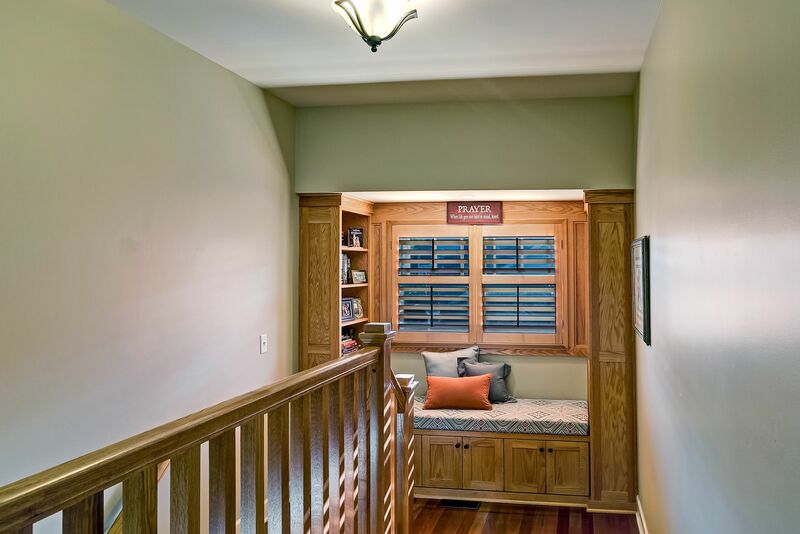 Fantastic Craftsman on Quiet Birdsong Cul de sac! 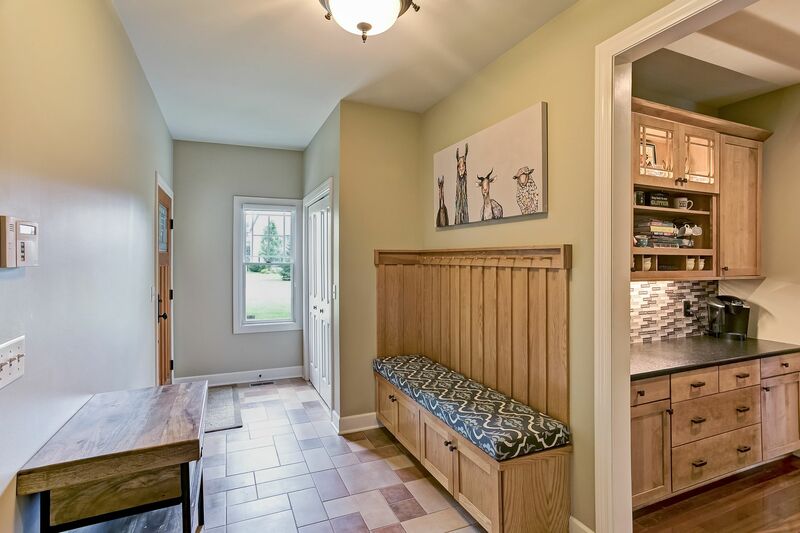 Tucked into a quiet cul de sac in Orchard Park’s exclusive Birdsong Estates you will find this spectacular craftsman-style home on 2/3 of an acre. 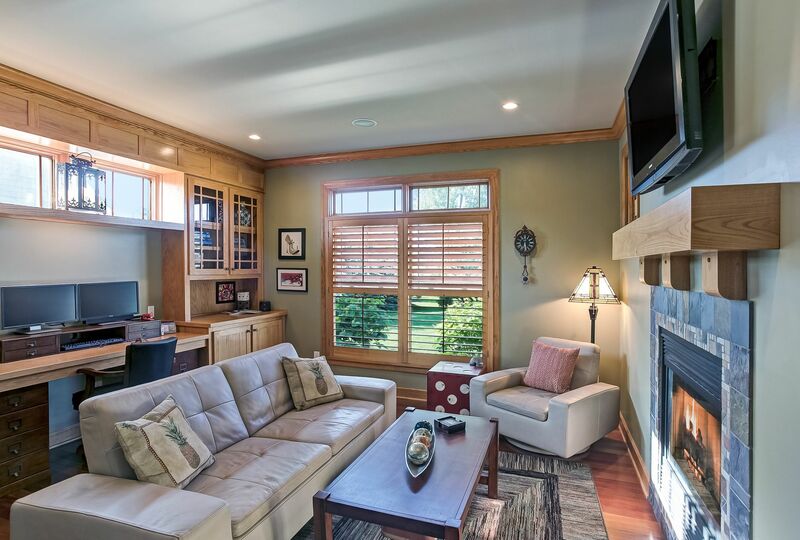 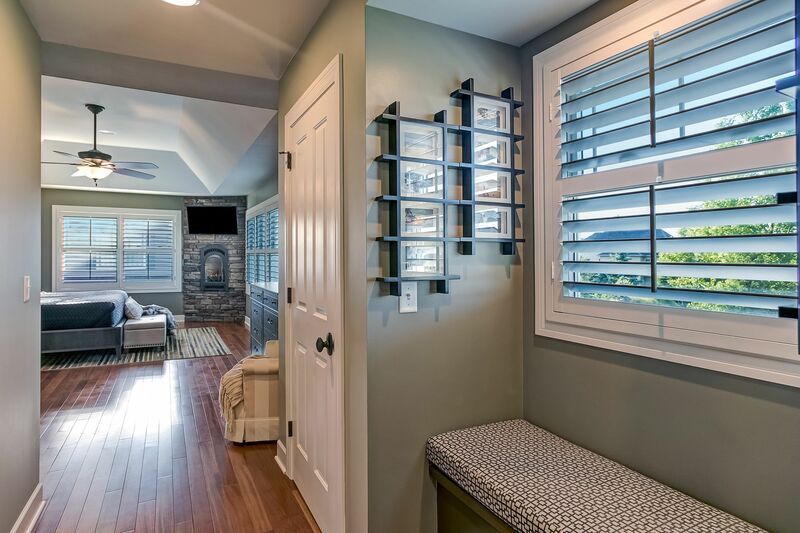 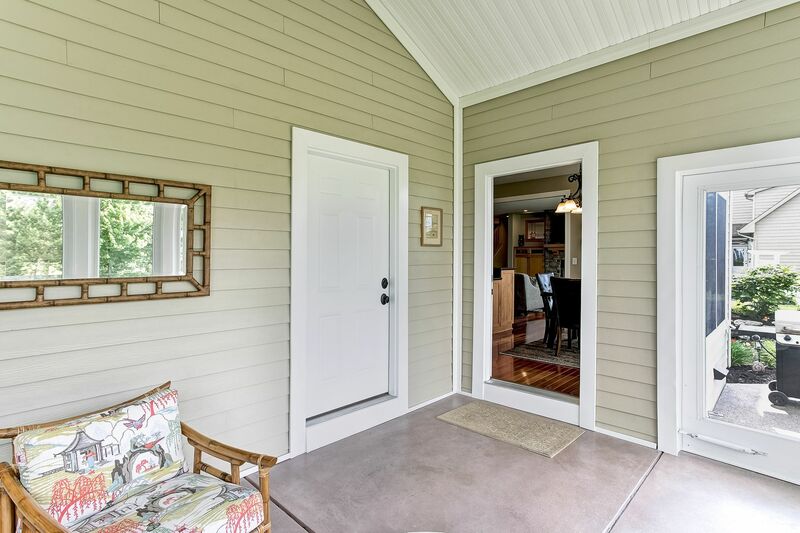 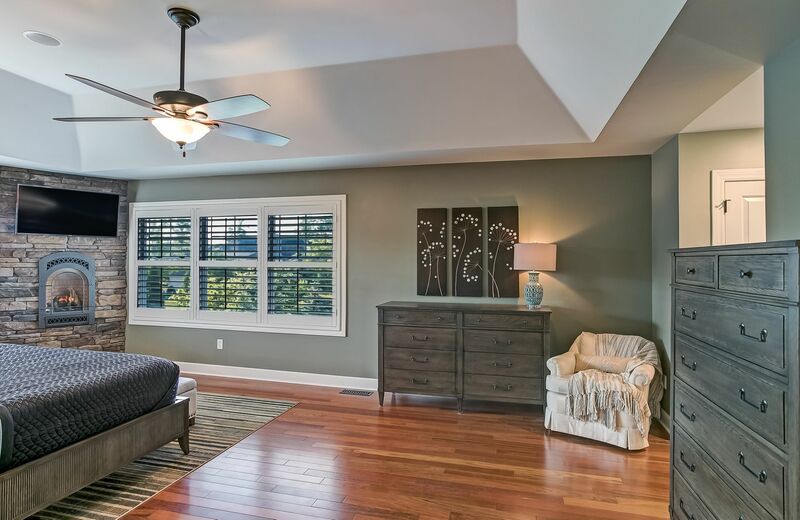 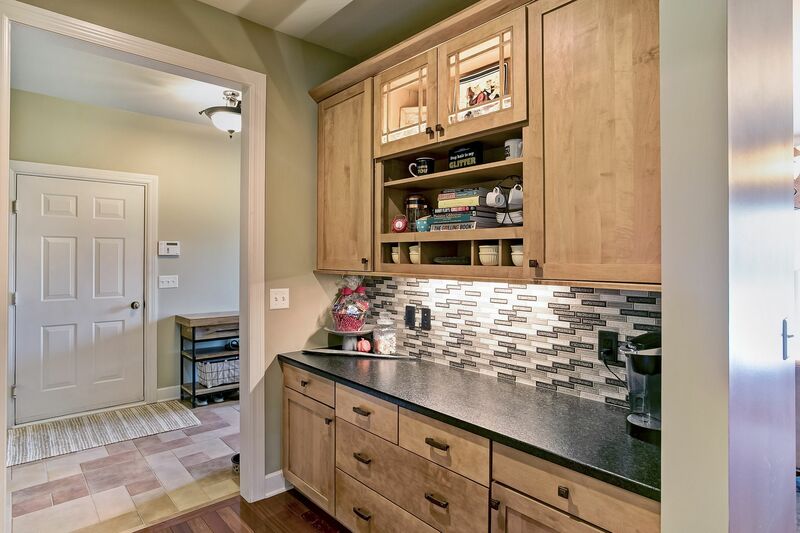 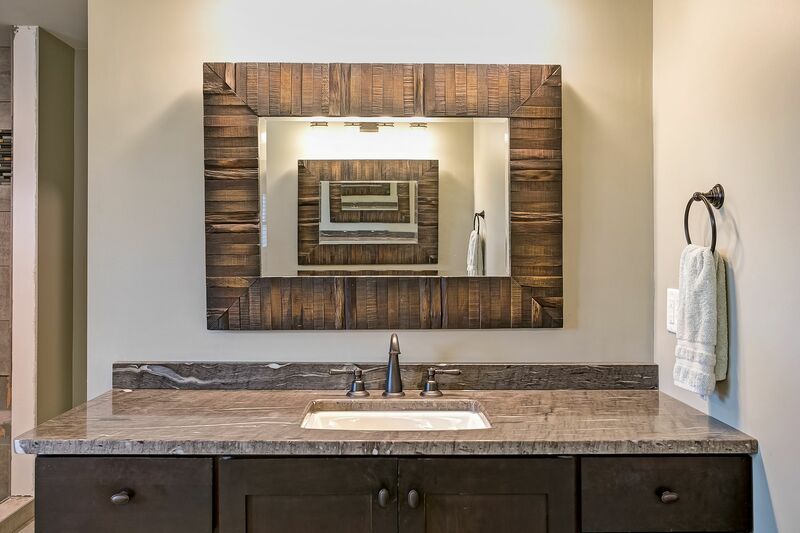 Freshly updated by its current owners, this former model home boasts all the latest amenities, while retaining its traditional craftsman charm. 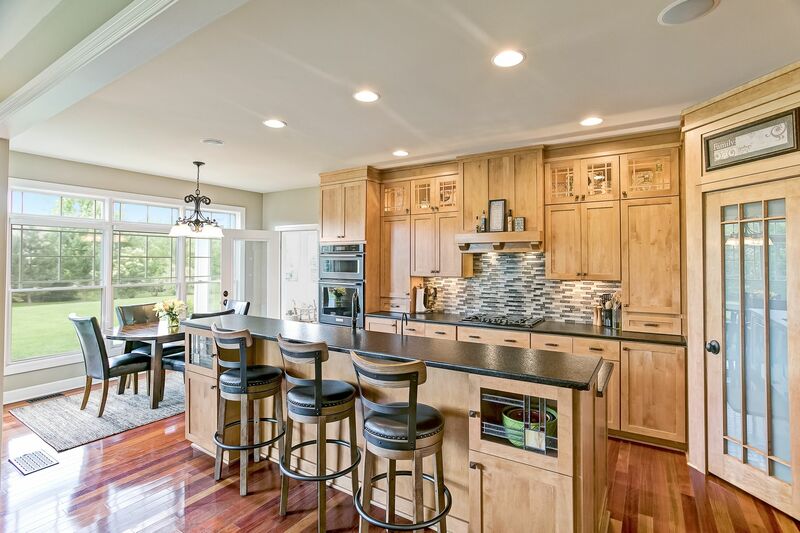 At its heart lies the open, gourmet kitchen with large step-up island, “leathered” granite counters, brand-new black matte stainless Kitchen Aid appliances, gas cooktop and walk-in pantry. 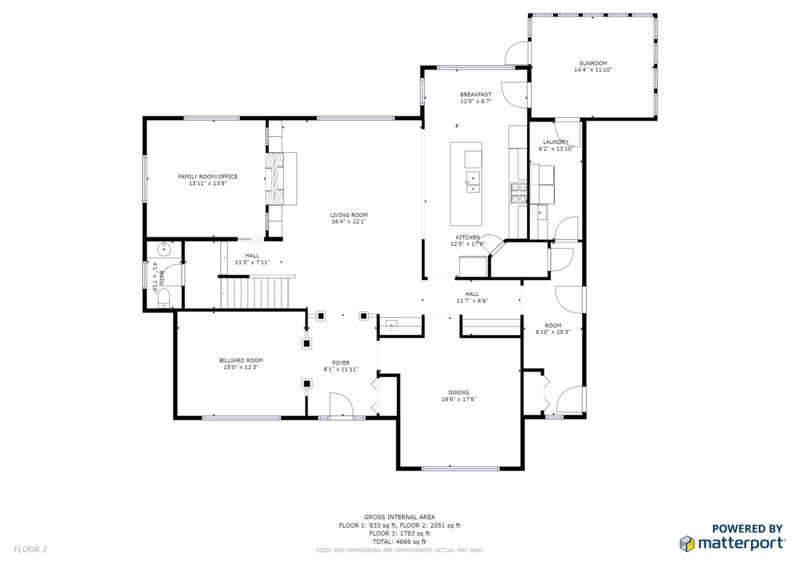 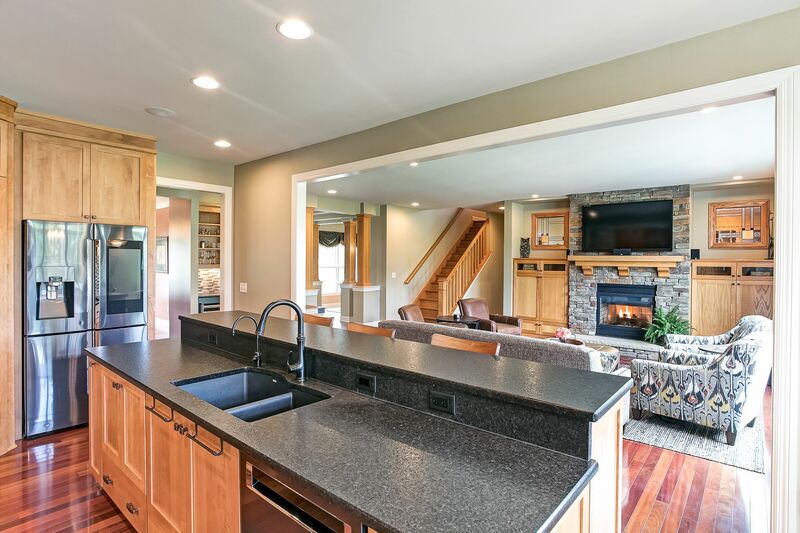 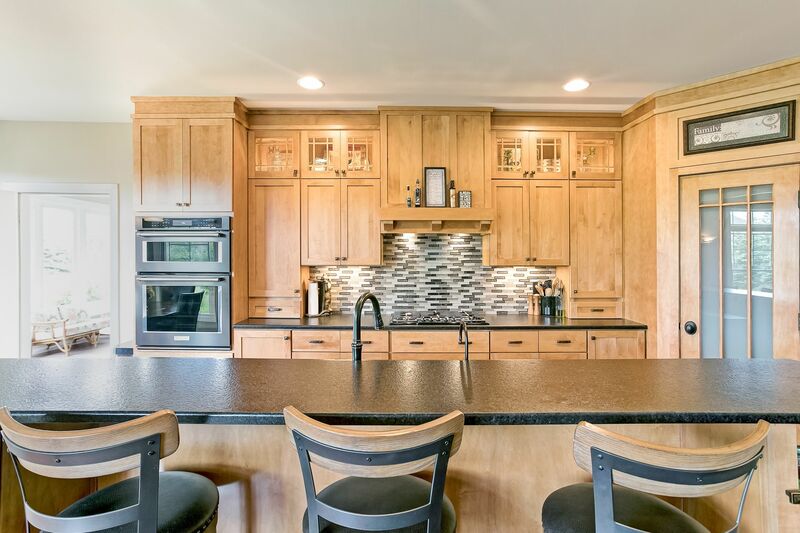 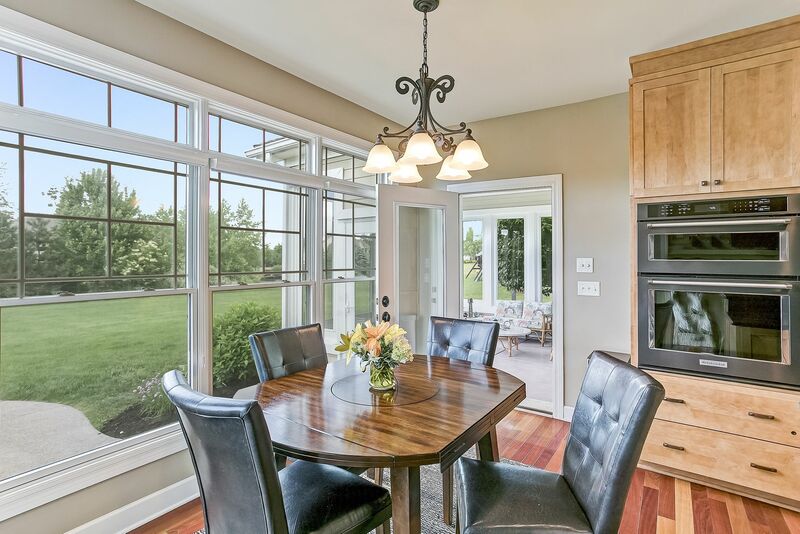 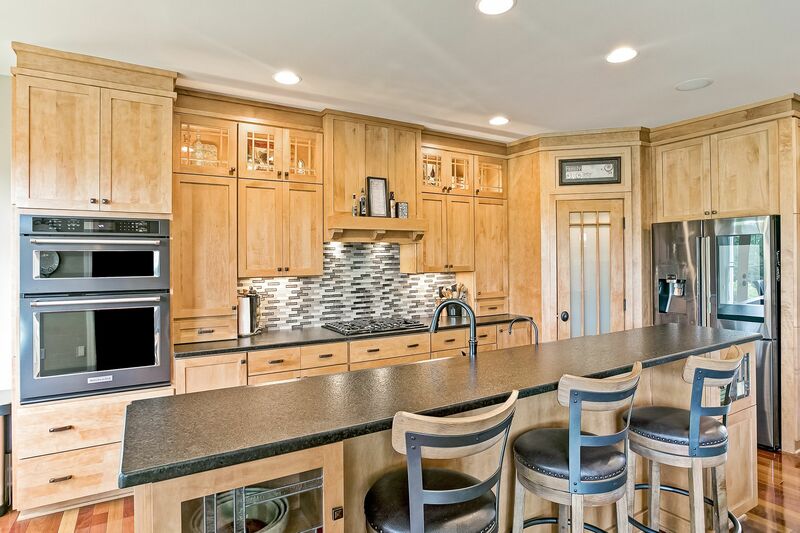 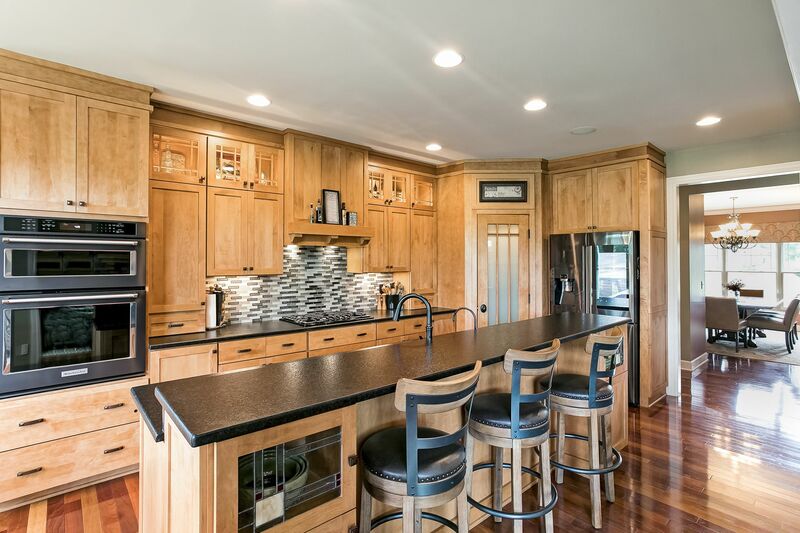 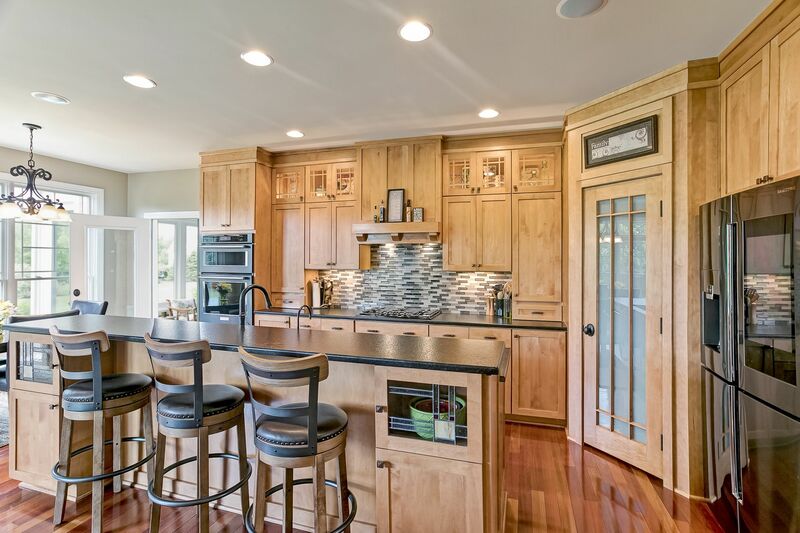 Making it ideal for entertaining, the kitchen opens to the massive family room, eat-in area, and three season room. 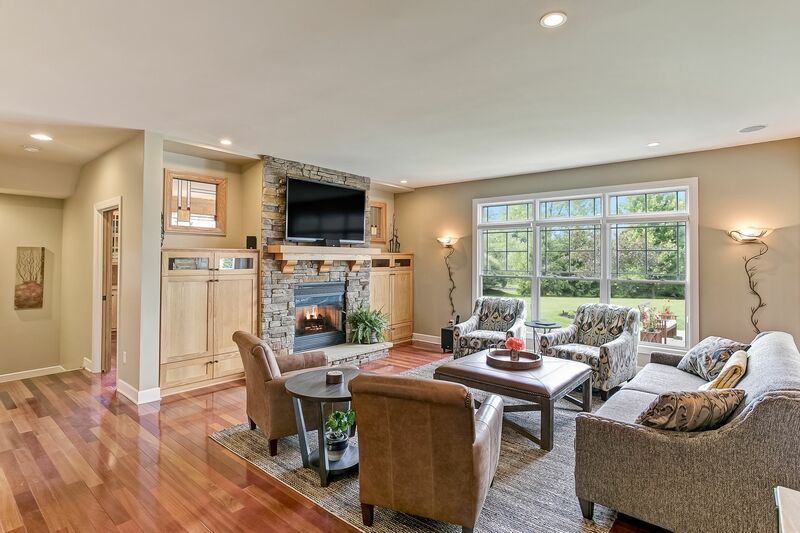 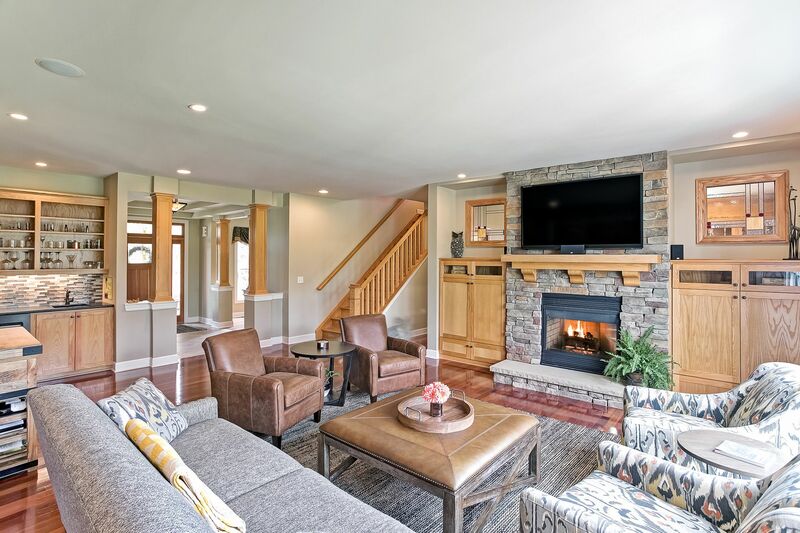 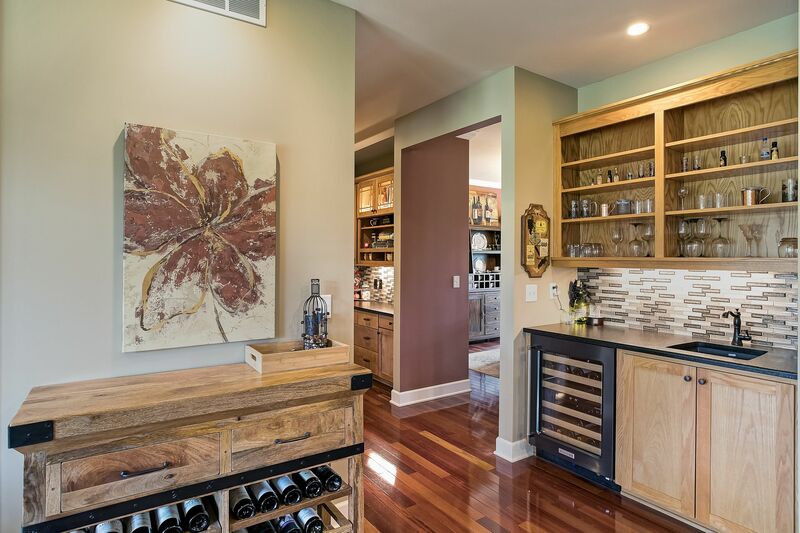 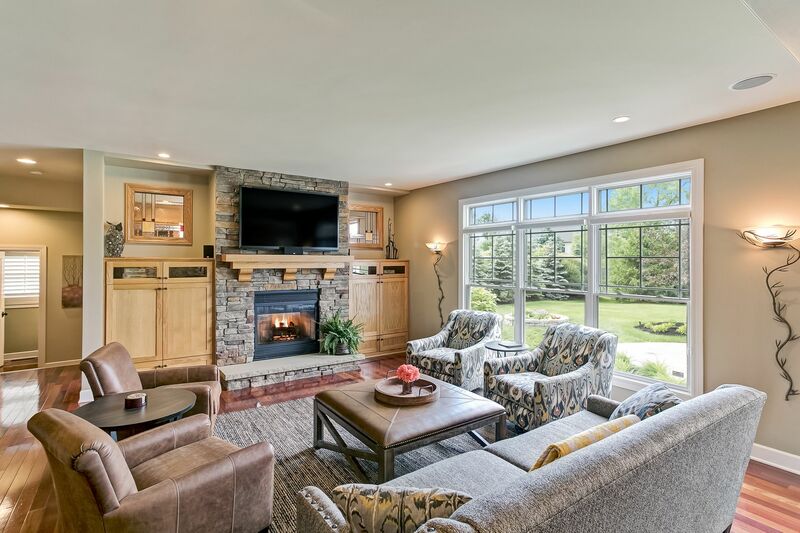 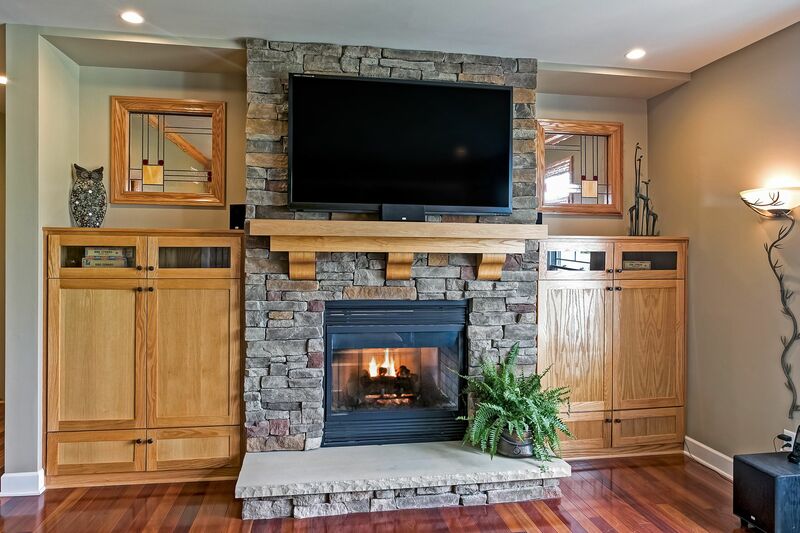 The family room features custom built-in cabinetry, wine and wet bars, and gas fireplace with rustic stone surround. 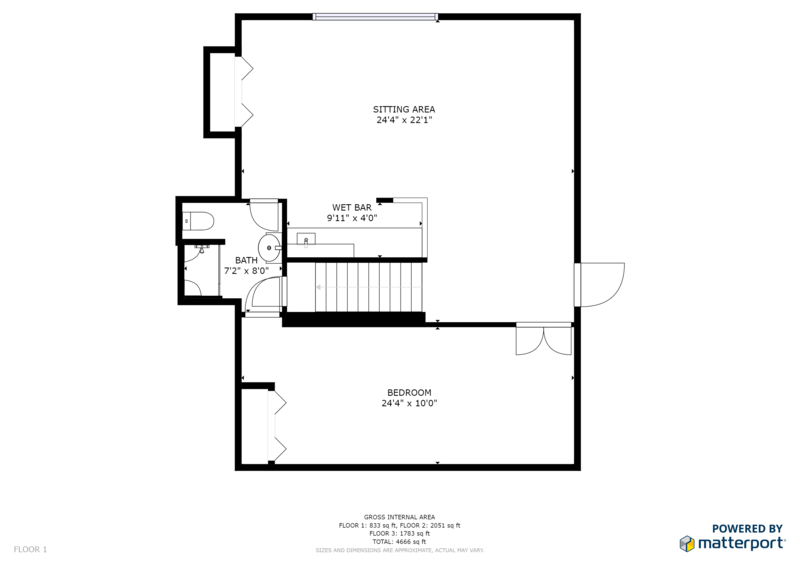 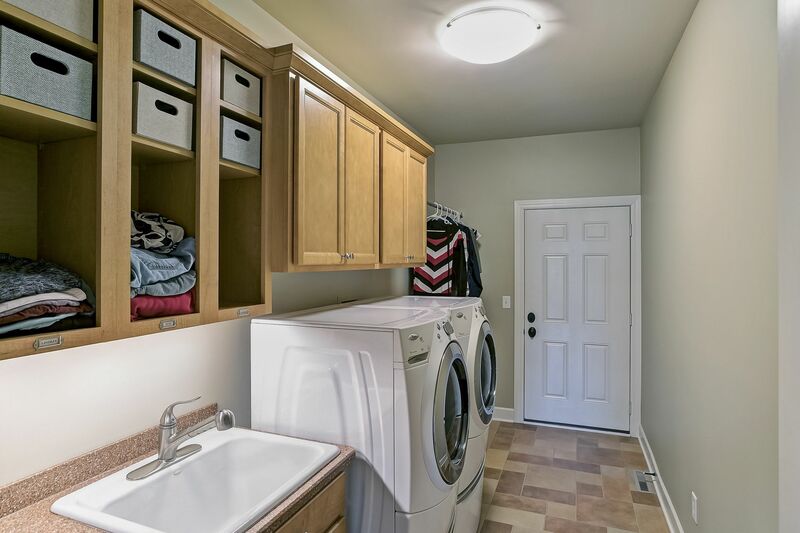 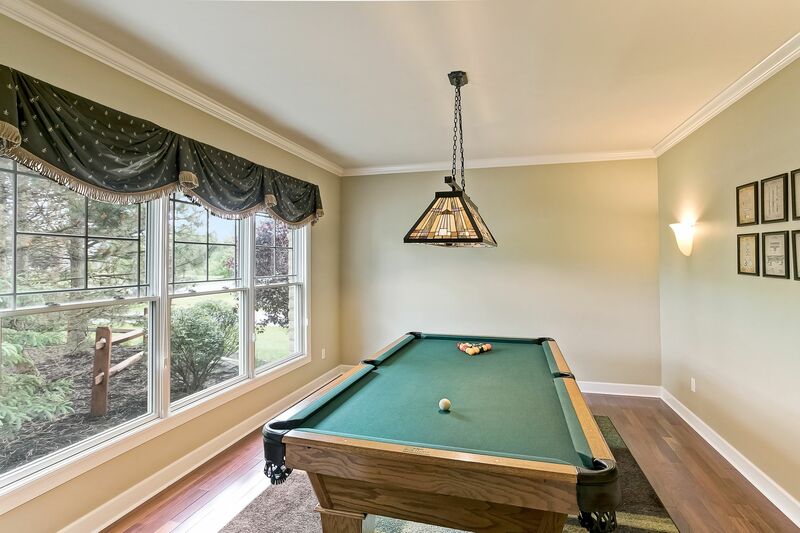 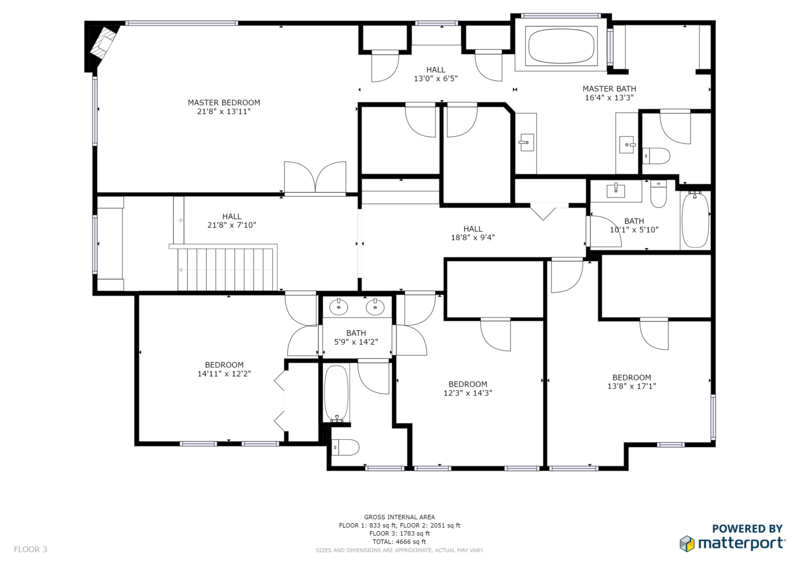 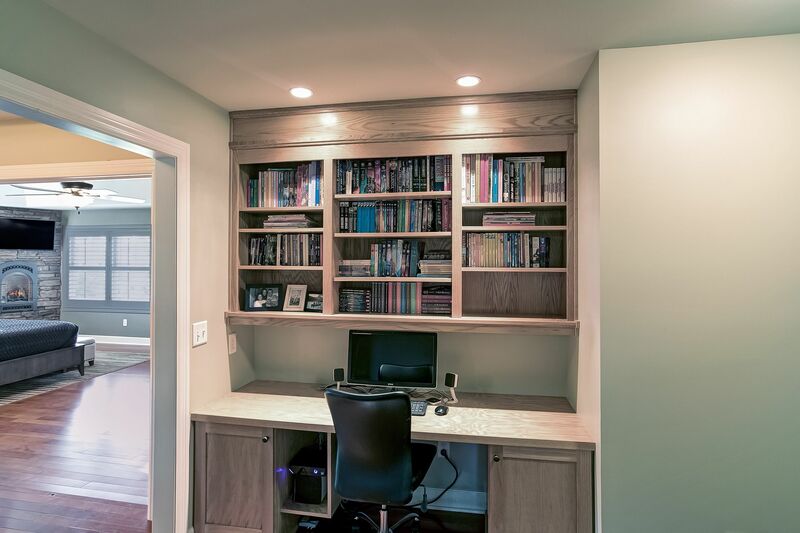 The private office/den is just down the hall, as well as the formal dining, billiard/living, mud/laundry rooms. 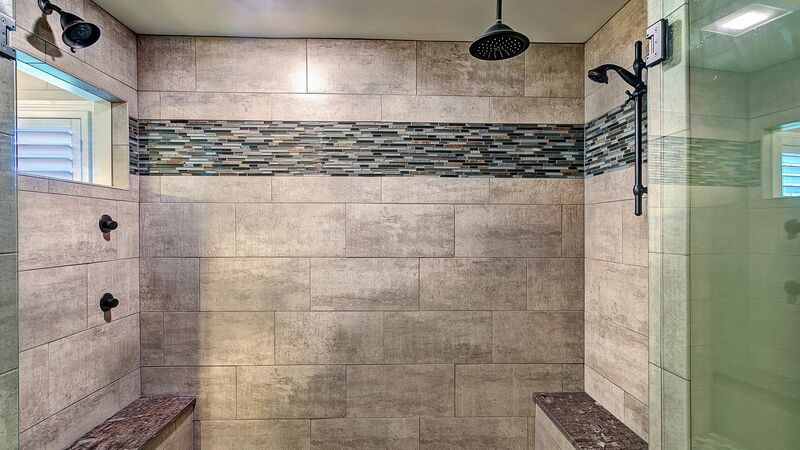 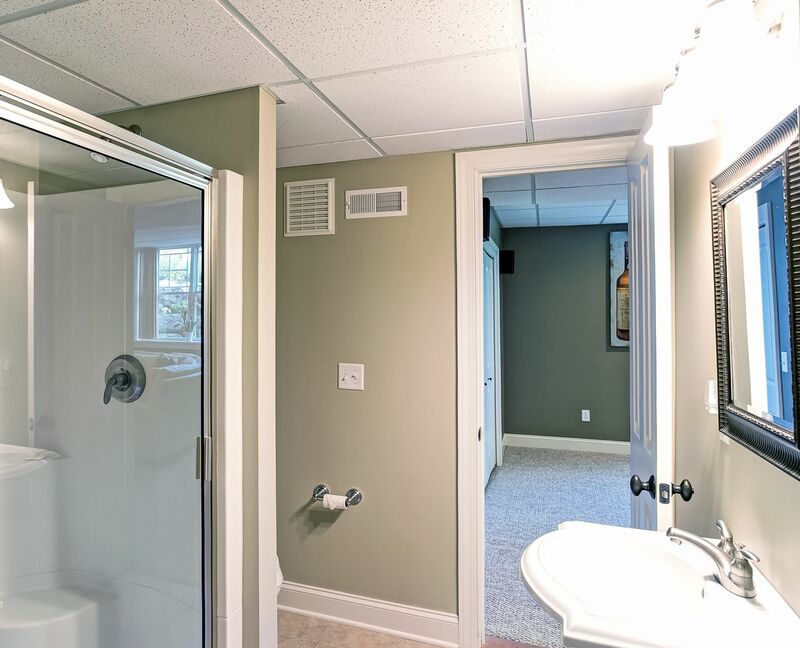 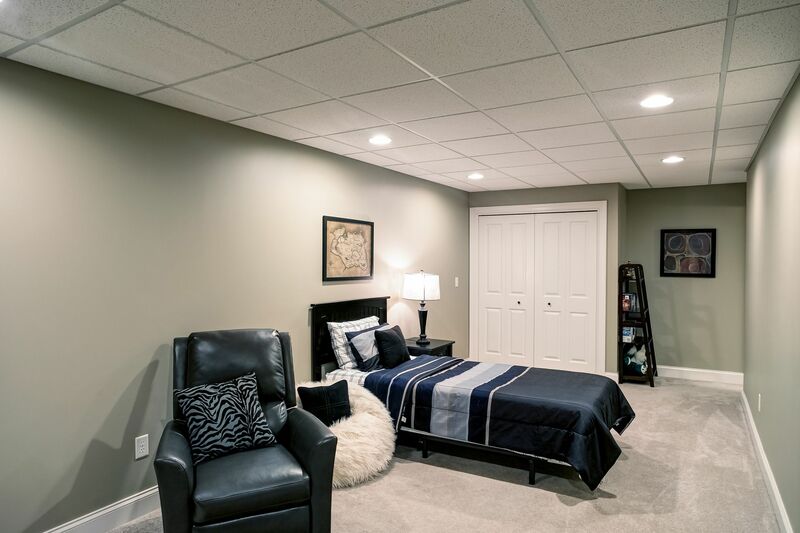 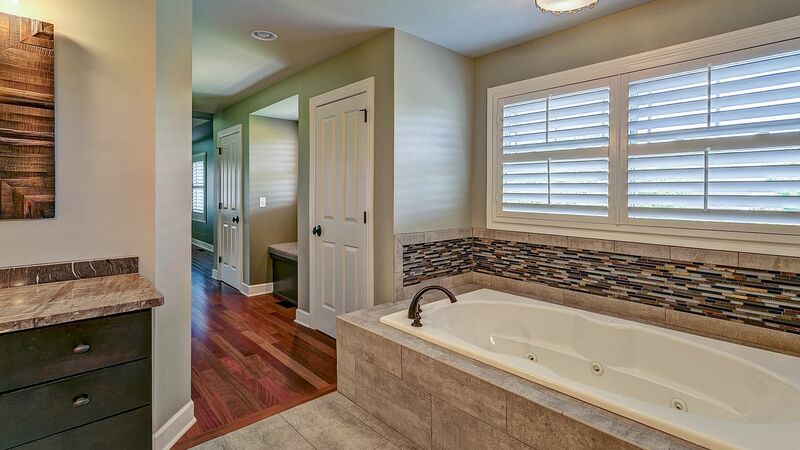 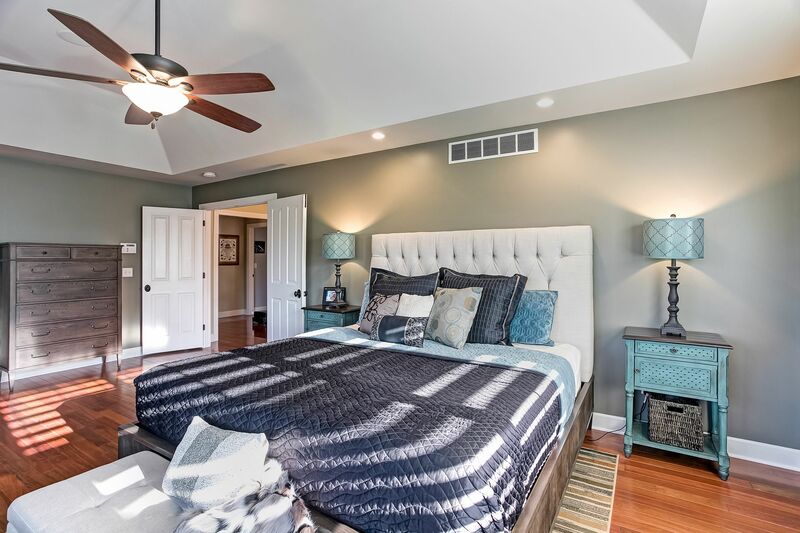 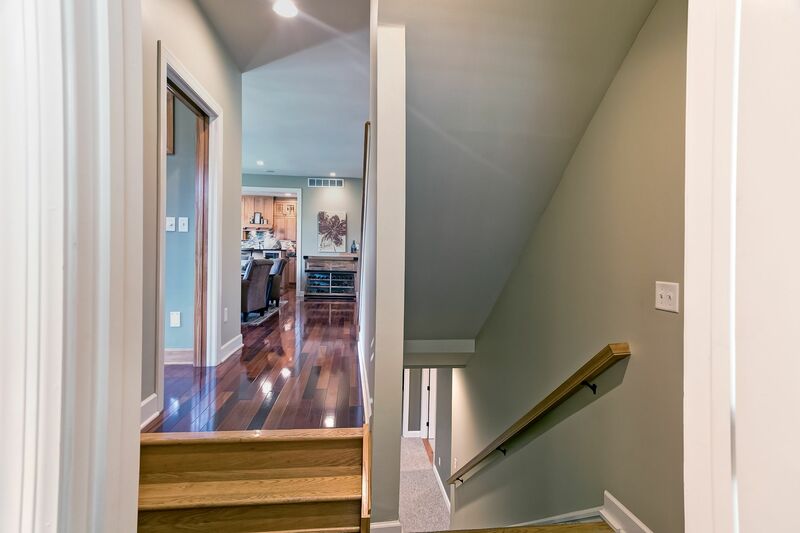 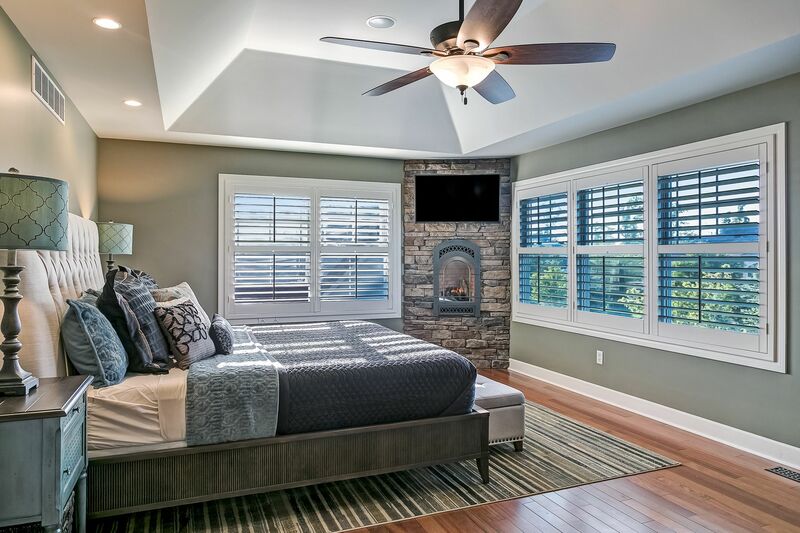 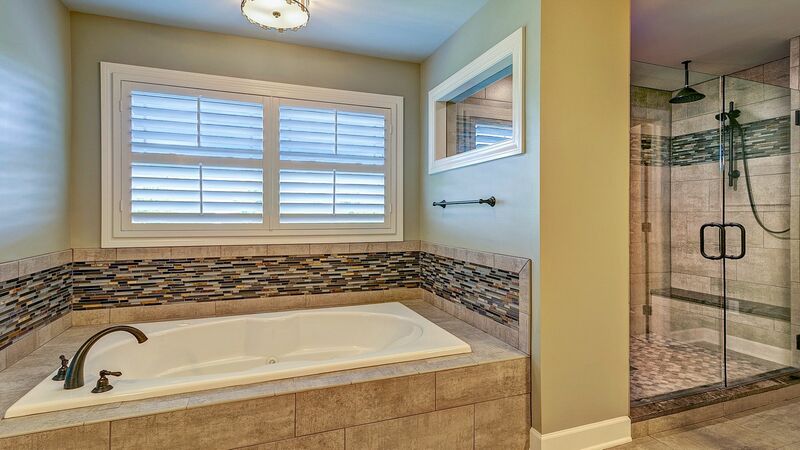 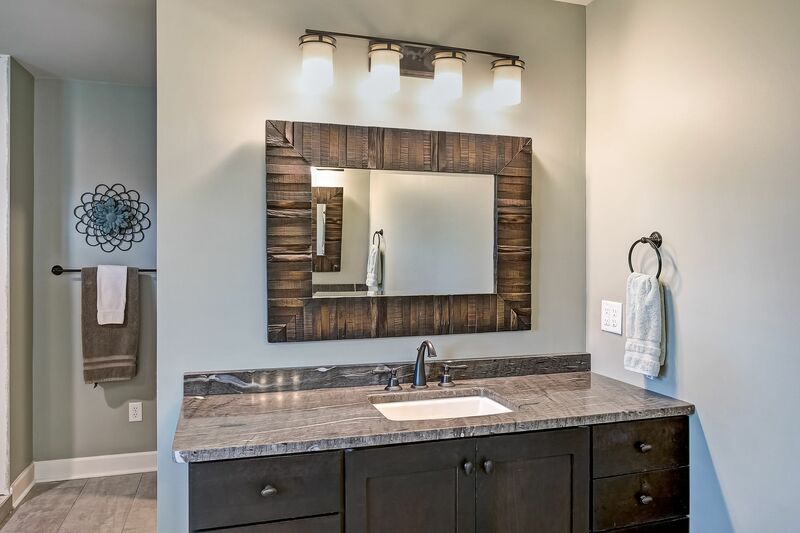 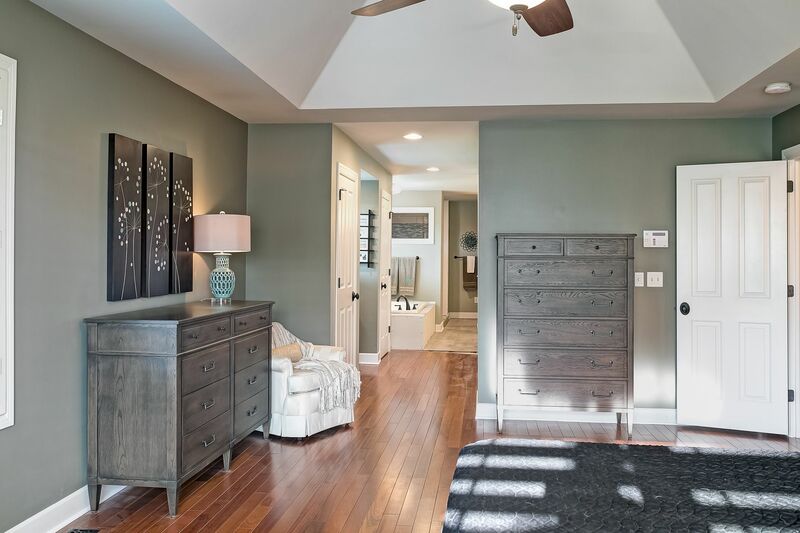 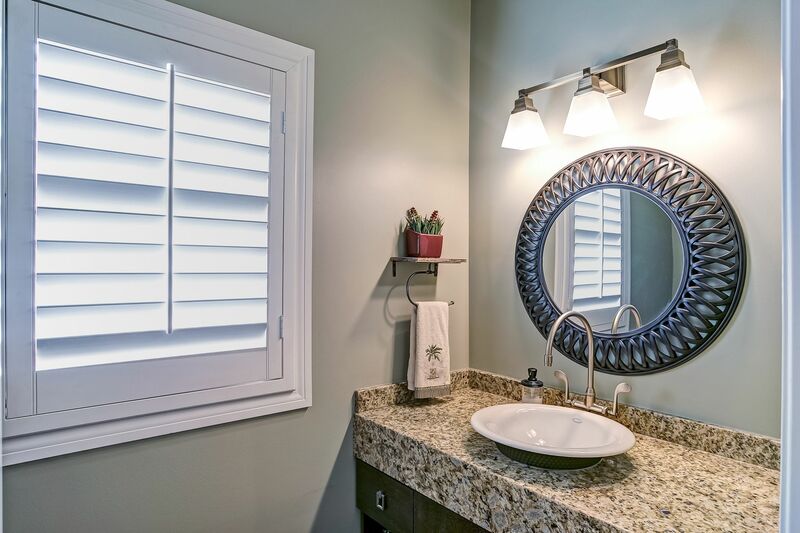 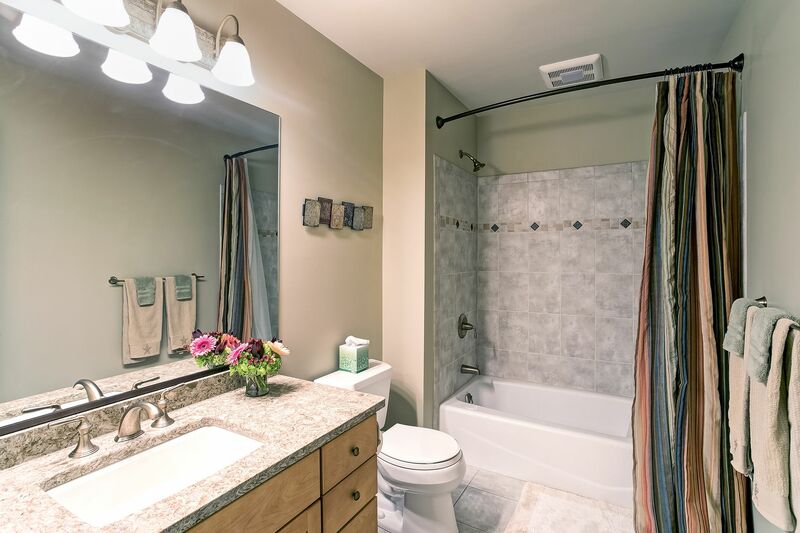 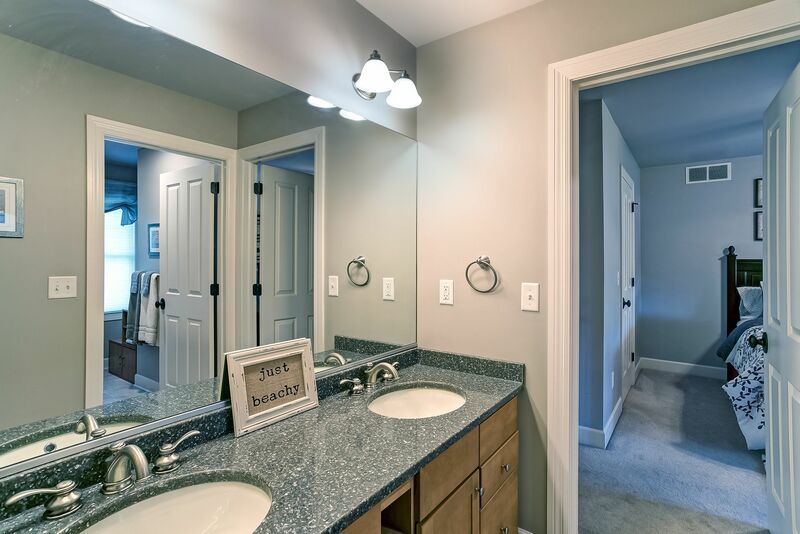 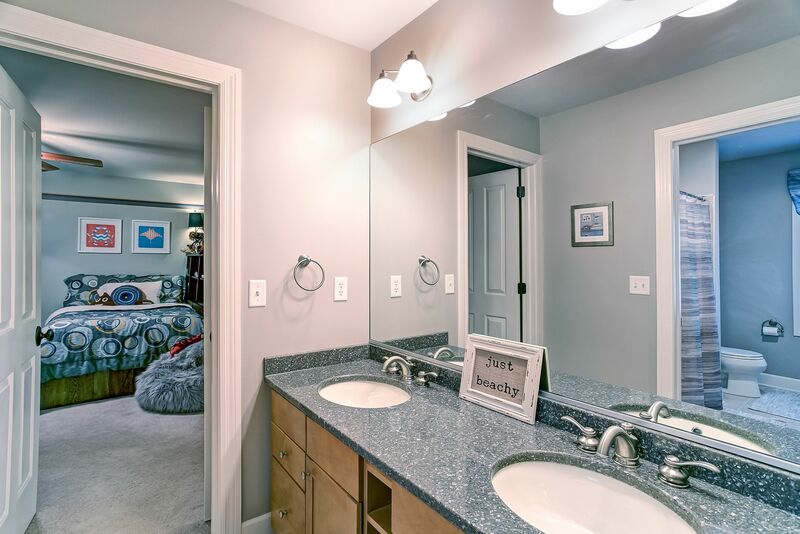 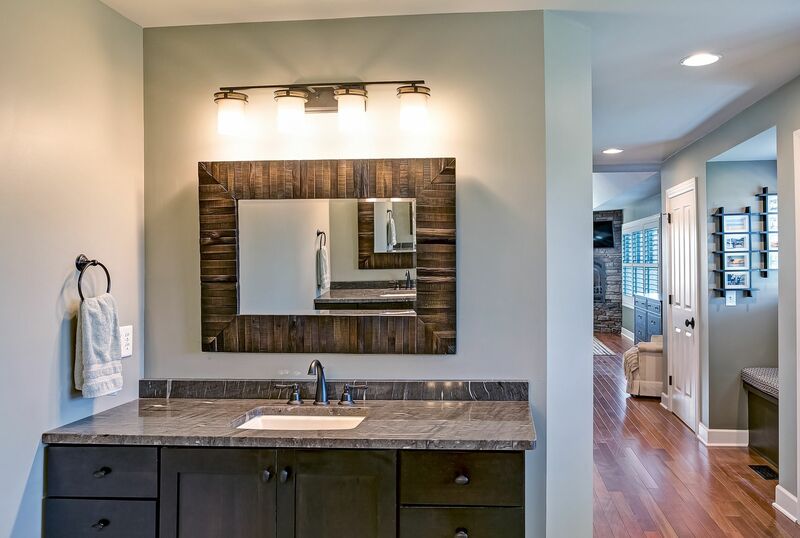 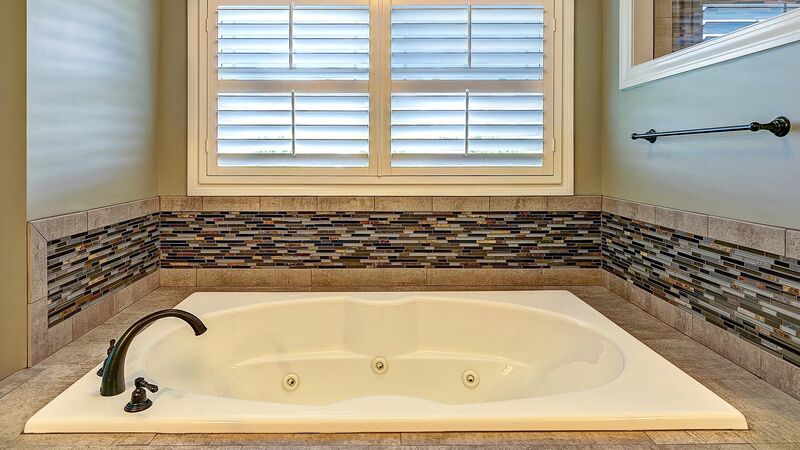 Upstairs is the newly renovated master suite which boasts Brazilian cherry hardwoods, gas fireplace with stone surround, granite countertops, all new lighting and fixtures, all new ceramic tile, his/her double glass shower with granite seats, jets, rain head and smart shower controls. 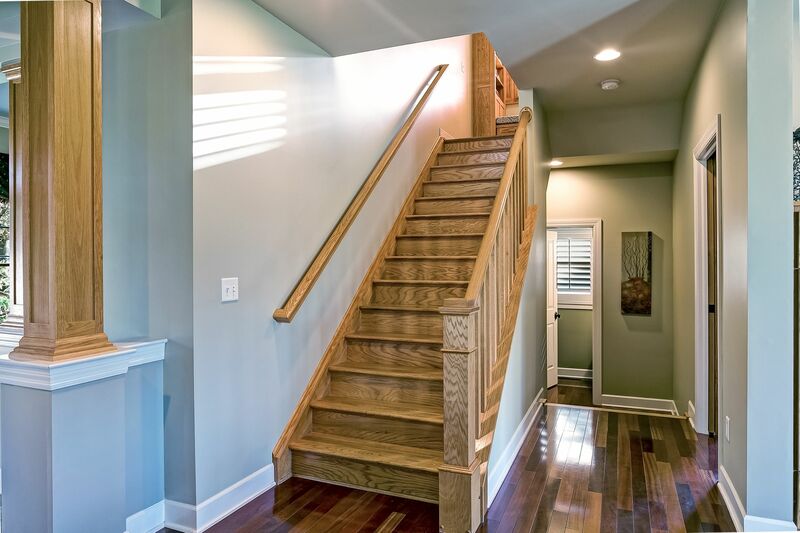 The three additional bedrooms and two full, newly upgraded baths, along with a convenient computer nook, turned staircase and windows seats complete the upper level. 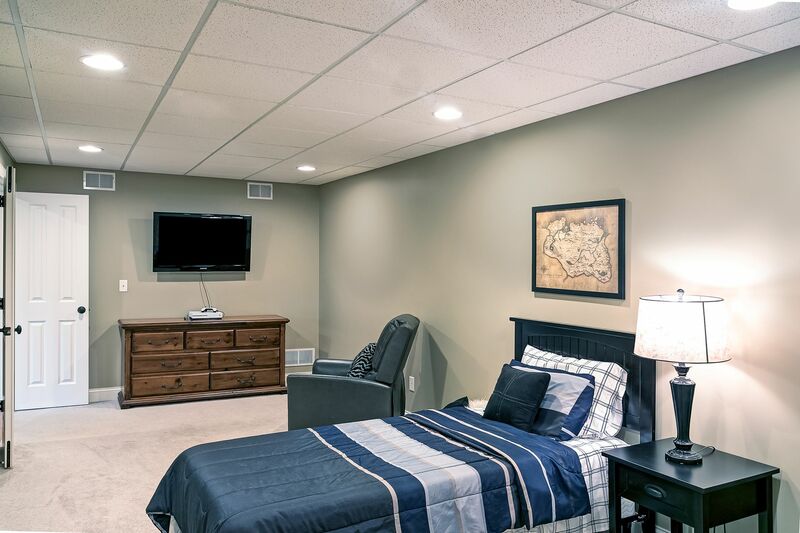 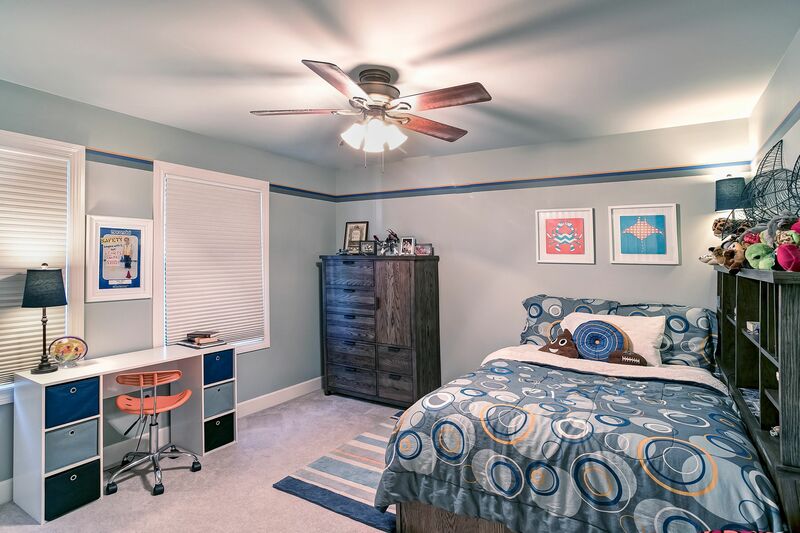 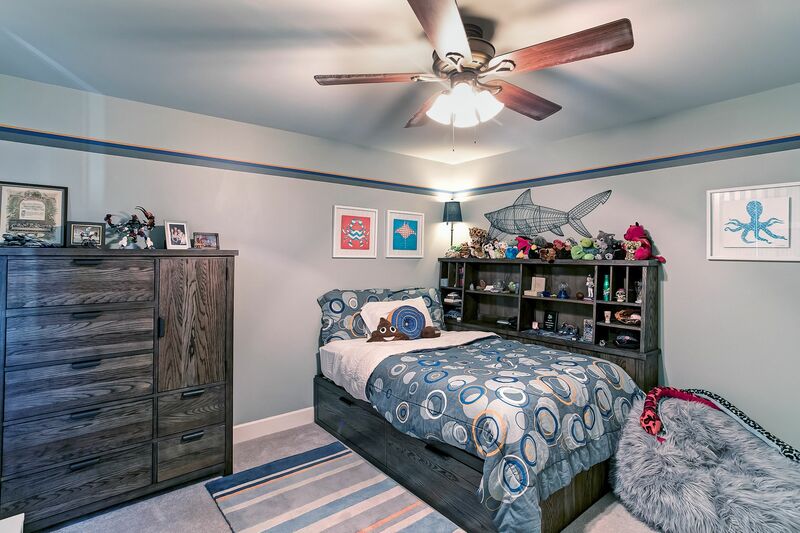 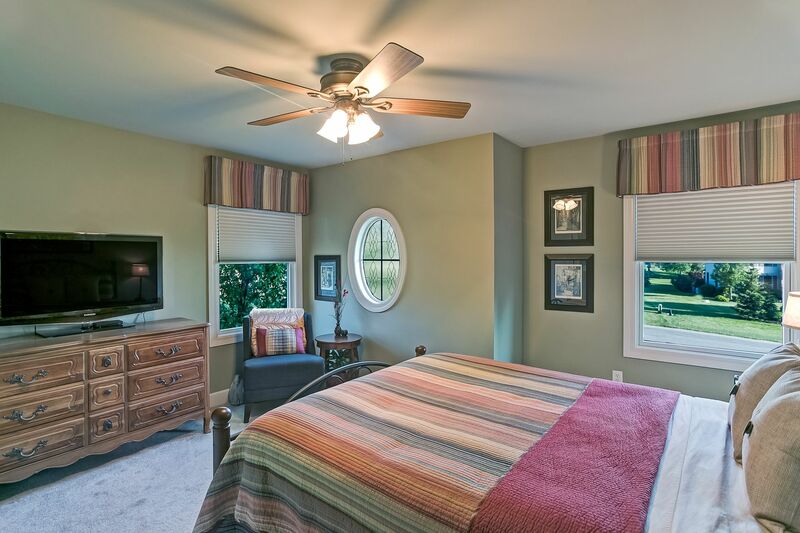 The mostly finished lower, daylight level adds fantastic recreation space, along with an optional bedroom suite. 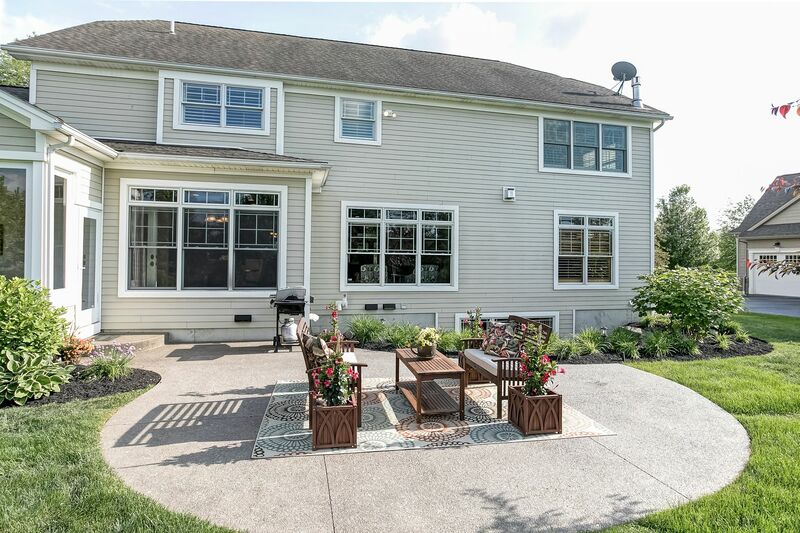 The gorgeous backyard features an exposed aggregate concrete patio, mature landscaping, abundant accent lighting, and includes a new permanent natural gas generator. 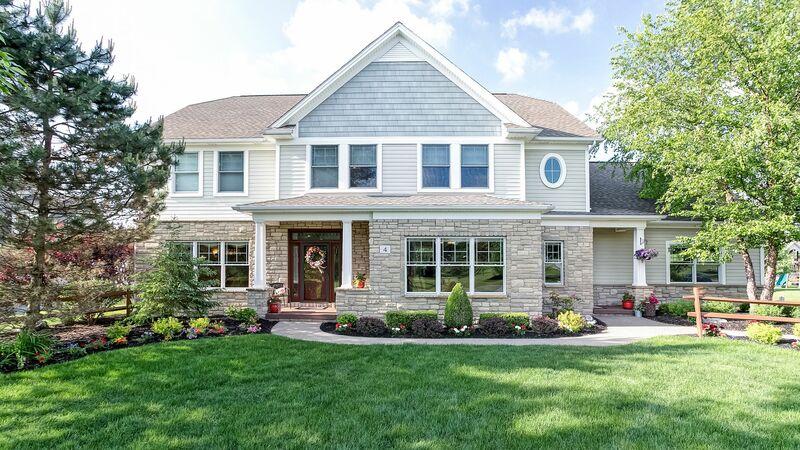 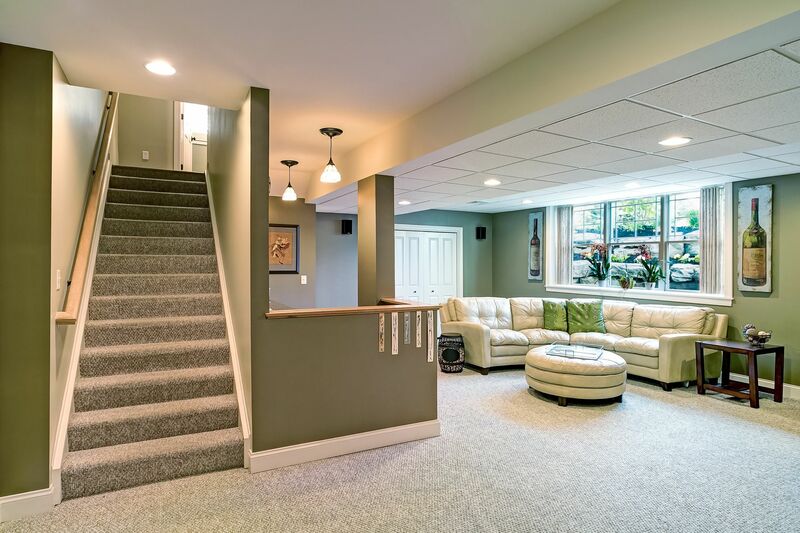 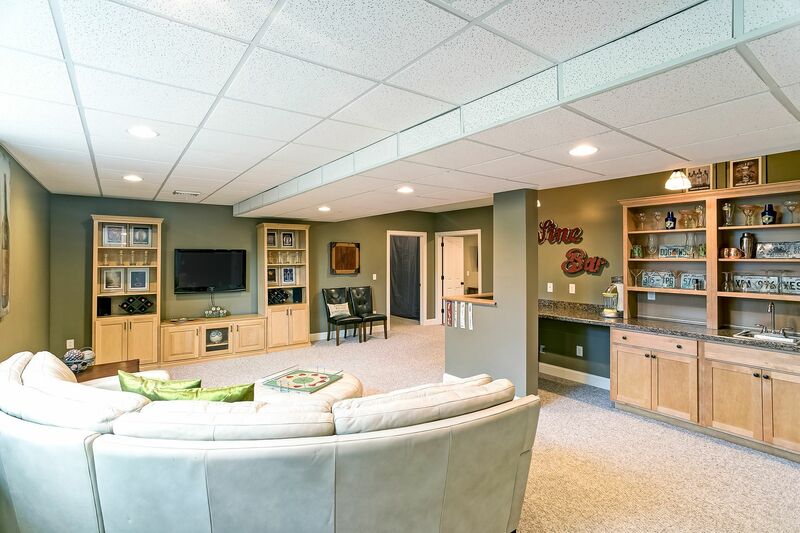 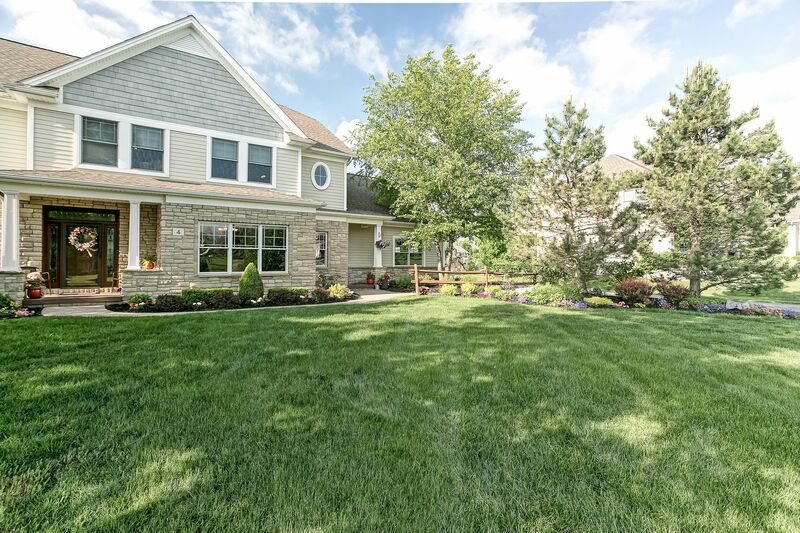 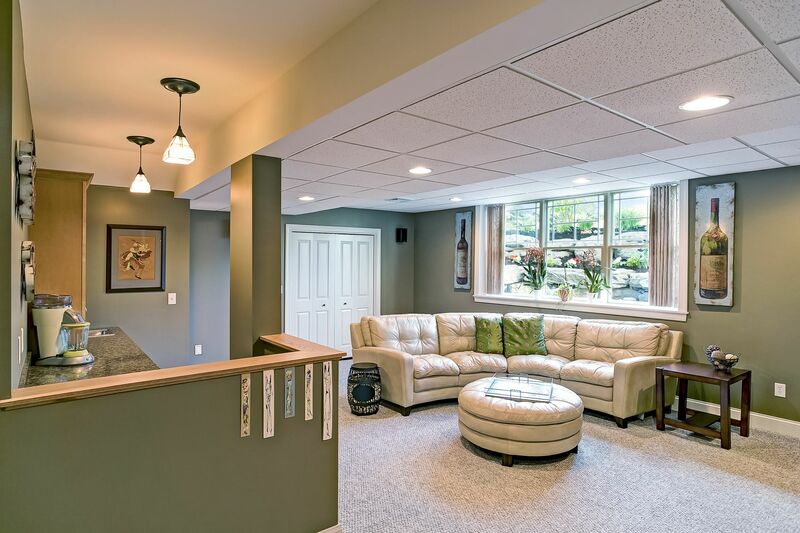 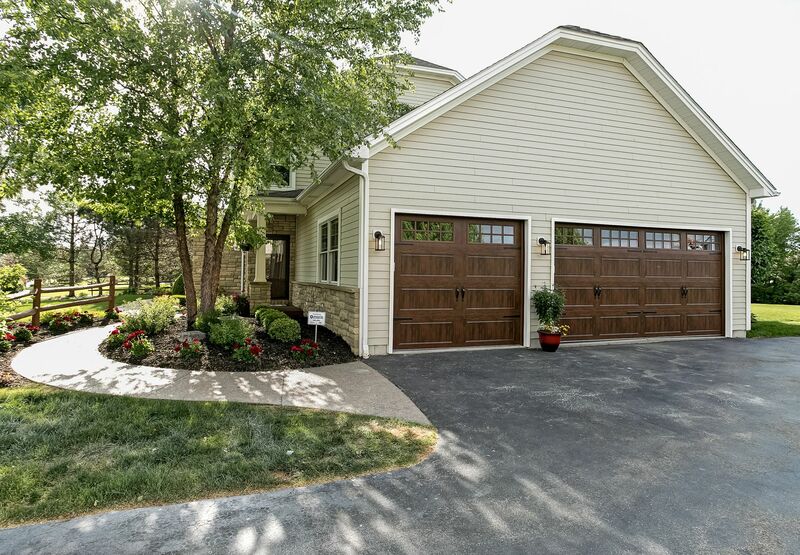 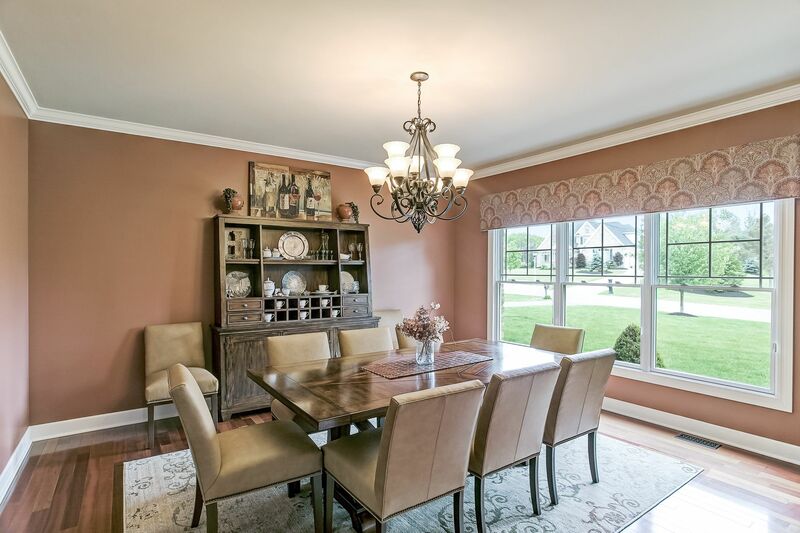 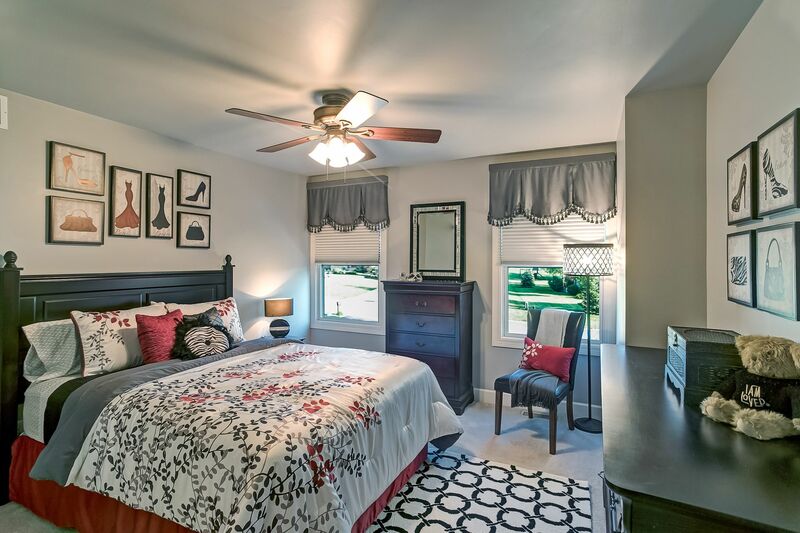 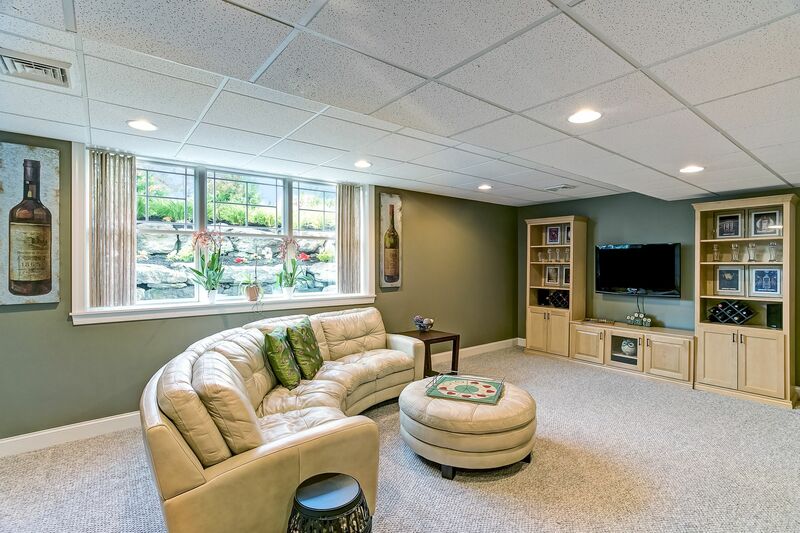 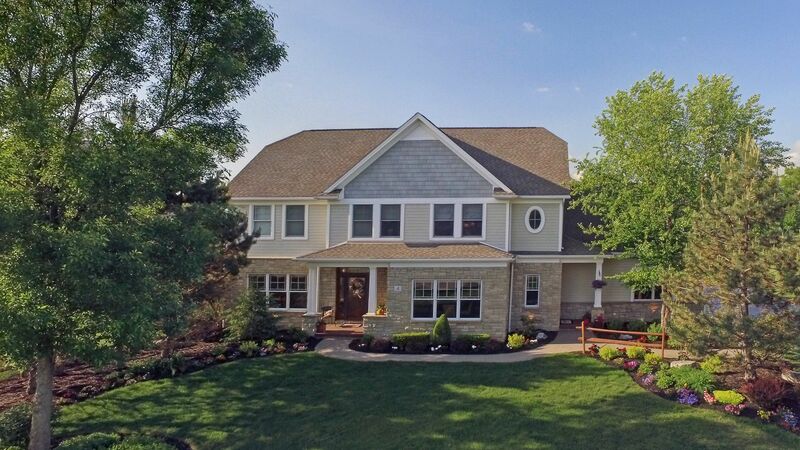 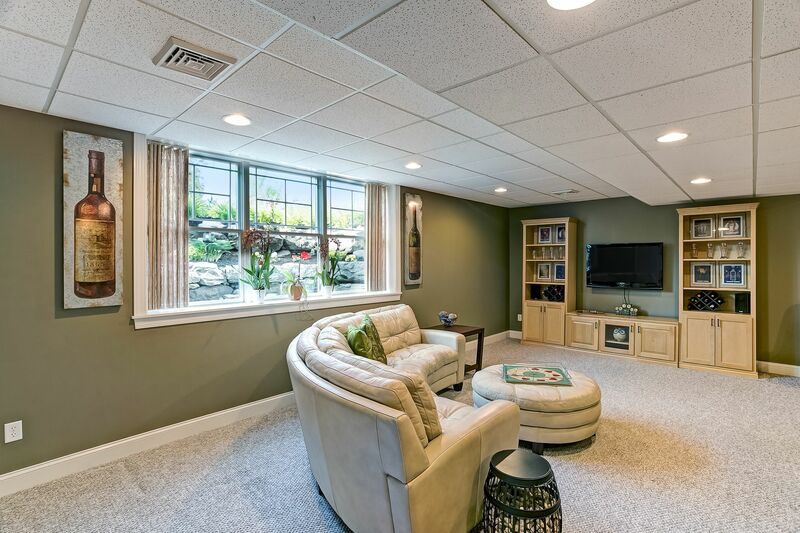 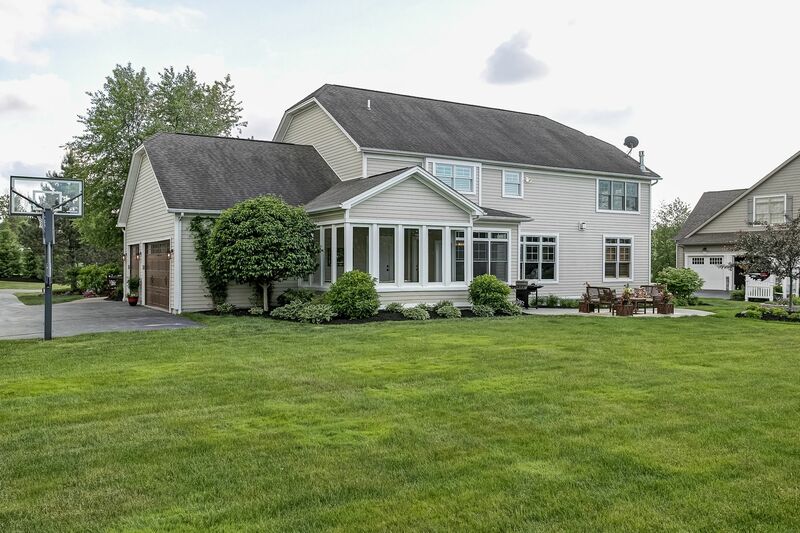 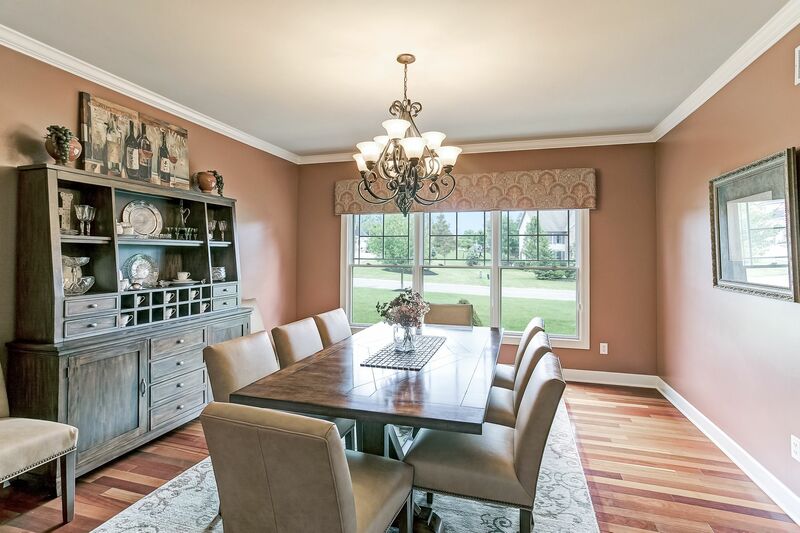 This beautiful home is conveniently located just minutes from the Villages of Orchard Park and East Aurora, New Era Field, and Rt. 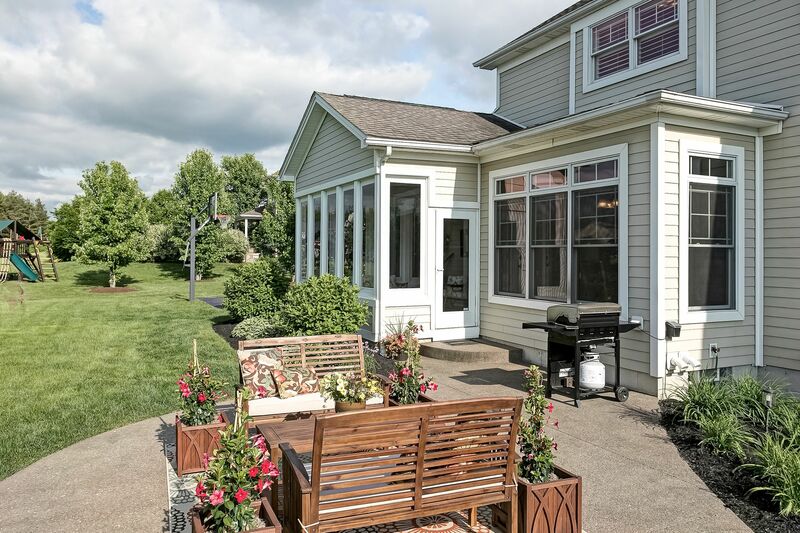 219, making all of Western New York within just 20 minutes. 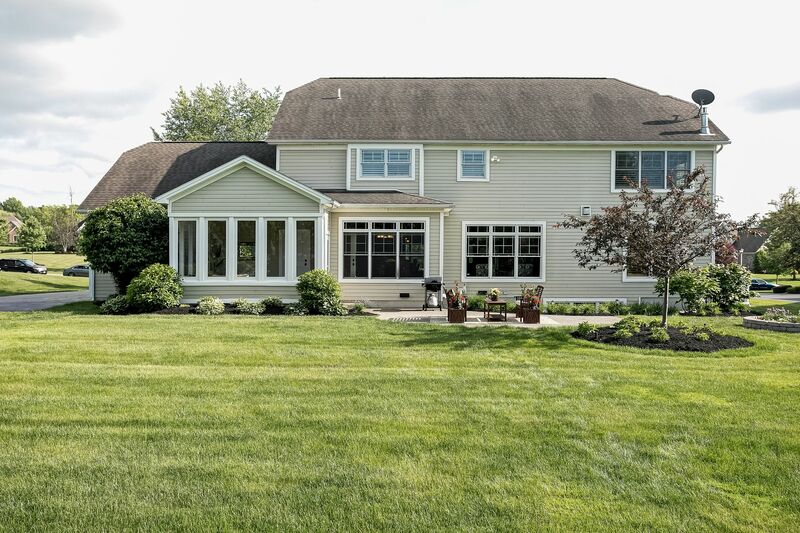 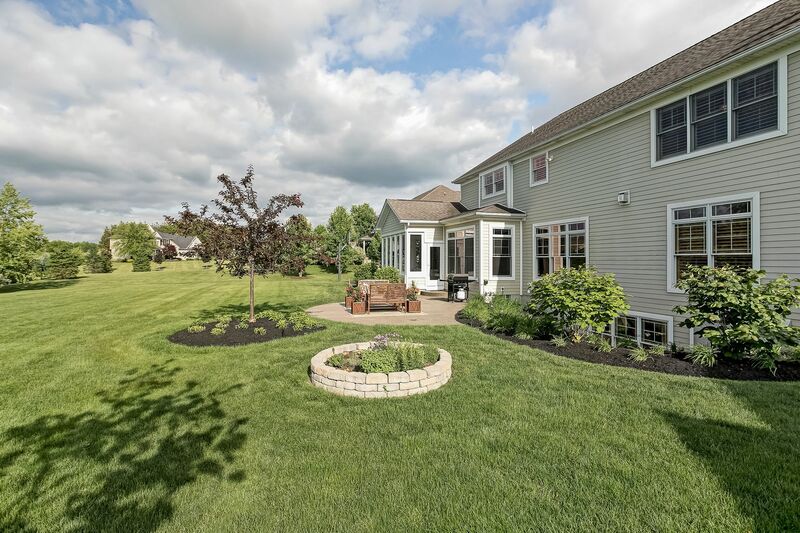 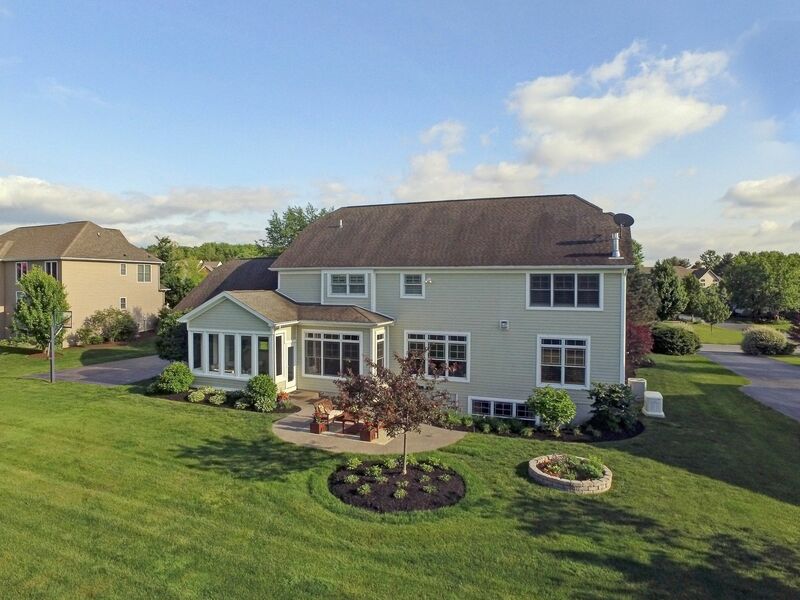 Birdsong Estates is located just 18 miles south of Buffalo in the historic Town of Orchard Park, which boasts one of the most highly regarded school districts in Western New York. 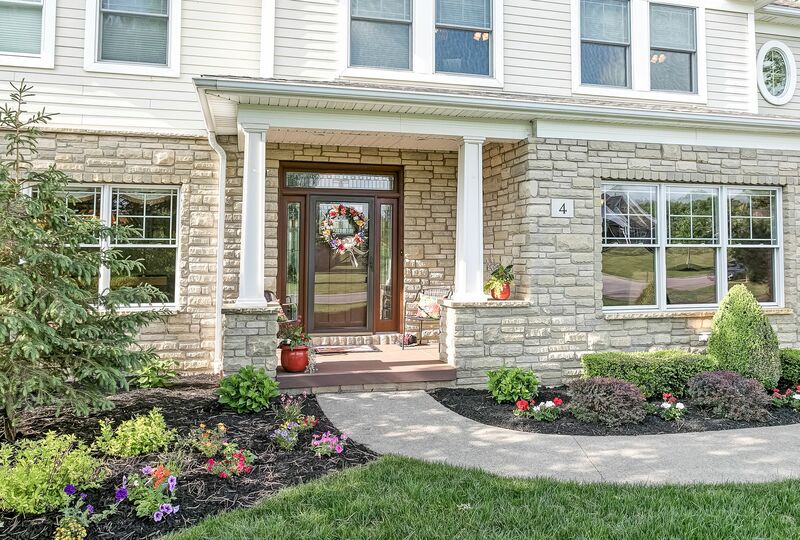 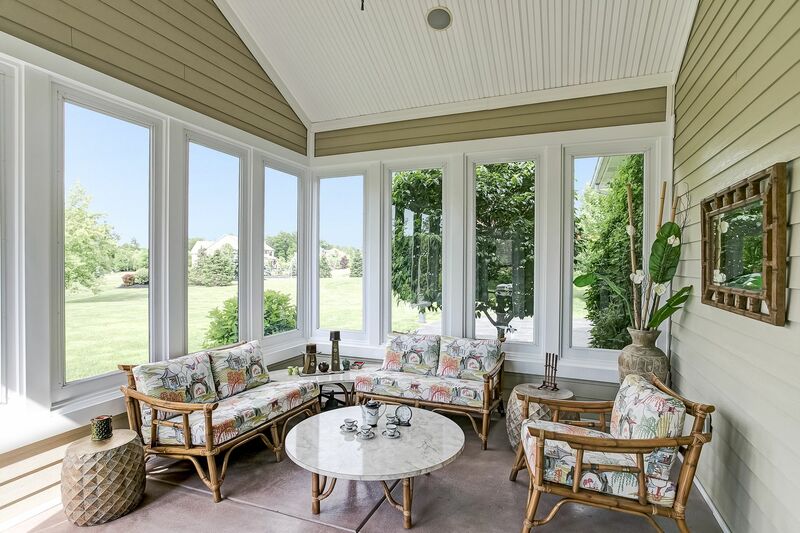 Birdsong offers an ideal combination of suburban living and country life. 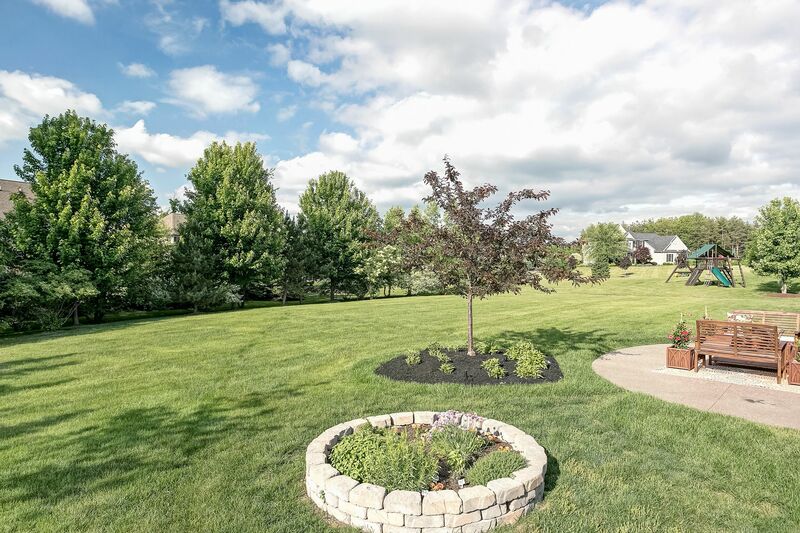 Horse stables and working farms dot the surrounding landscape, yet the charming Village of Orchard Park’s commercial district is just minutes away. 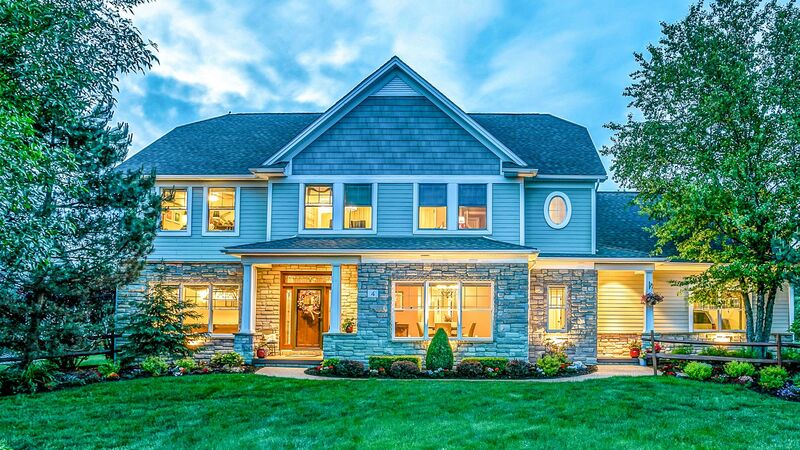 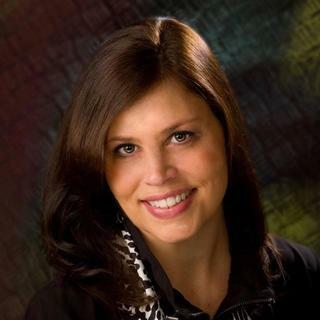 A professionally managed Homeowner’s Association governs the 165 acres of common properties, lakes, trails, and conservation areas, which are available to all residents.